To provide high-quality, cost-effective advisory services to the senior management of private and publicly owned corporations. To use our diverse experience to assess and implement concepts, strategies and tactics that will ensure the revitalization and managed growth of our customers’ enterprise. 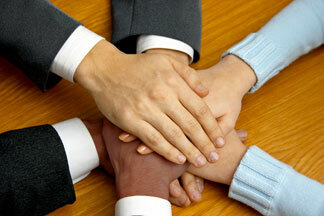 To treat our employees, customers, vendors and community with dignity, integrity and respect. Business challenges and problems are constant, but comprehensive assessment, positive intervention and action can lead to timely and effective resolution. This is the path forward — for management, creditors, employees and stakeholders — and it is Beane Associates’ objective on every assignment. We are committed to honest, ethical business practices. We are totally committed to quality and service that will equal or exceed our customers’ requirements. We will support and encourage personal development. We will recognize, encourage and reward ideas for positive, innovative change. As the foundation of our commitment to ethical business practices, Beane Associates, Inc. subscribes and adheres to the Codes of Ethics established by the Turnaround Management Association (TMA), the Institute of Management Consultants (IMCUSA) and the Association of Certified Fraud Examiners (ACFE).